Whoever said that a smartphone is the extension of someone’s hand was spot-on. For it seems that everytime someone gets an ache or a pain, the first thing they do is consult their phone or tablet, not their doctor. 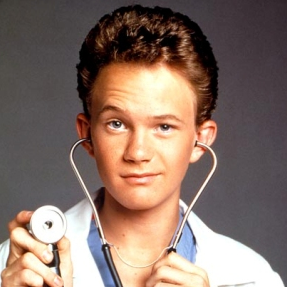 Take that Doogie Howser. Move over Doctor House. Doctor iPhone is in the room and is taking charge. And I have to admit to doing it myself on occasion, using sites like WebMD or even just Google. Symptoms you would never have the guts to tell your doctor about, you have no problem instead typing it all into a search engine where it is all collated and archived. We’ve become a strange lot. But what is strange is that, even though medical apps are becoming more and more popular, Google chose to shut down their Google Health service. Couldn’t they have found a way to build it into their Android phones so people could look up their medical records online? Our infographic today is on the subject of smartphones and medical management apps. Let us know what you think of the infographic and whether you use a medical app on your phone. Would you have any problems typing embarrassing symptoms into Google? Do you think true health privacy exists online? It may be easy. It may be convenient. It may even be considered cool. But as the TV commercials in the US for an over-the-counter remedy say "You wouldn't let your doctor do your job, why do you do his?" The chances for a mis-diagnosis are just too great. In the United States there is a law called "Health Insurance Portability and Accountability Act" (HIPAA) which, among other things, sets privacy rules for electronic health records. According to HIPAA doctors transmitting data over anything other than an encrypted Ethernet connection are violating HIPAA's privacy requirements. I can't imagine how far outside HIPAA guidelines medical apps for mobile device are. BTW - For the past 25 years or so, I have worked as a software developer of applications for our local Health Department. As good as the progress towards using smartphone as healthcare tool, we still need real people with medical knowledge. Even human can err, let alone programs. Add the fact that humans are unique and unpredictable. And like anyone who ever tried diagnosing their problem online, you must shuffle through many bizarre results before getting trustable one. Still, this is a good thing as long as the software developer sacrifice the accuracy of their apps in favor of commercializing the product. I have not downloaded any health apps on my mobile and did not know they helped in any way. These apps can really be helpful in places where medical benefits are hard to reach but mobile technology has already reached.